The A-10 Thunderbolt II 30 mm GAU-8/A Avenger autocannon is one of the most powerful aircraft cannons ever flown. The GAU-8 is a hydraulically driven seven-barrel Gatling-type cannon designed specifically for the anti-tank role, firing large depleted uranium armor-piercing shells with a high rate of fire of 65 or 70 rounds per second, or a fixed rate of 3,900 rounds per minute. It’s accurate enough to place 80 percent of its shots within a 40-feet diameter circle from 4,000 feet while in flight. In other words, it’s one of the most powerful guns ever put in the air that fires incredibly destructive ammunition at a mind-numbing speed while mortally accurate. It goes without saying, but when it hits human targets, it demolishes them into pieces. 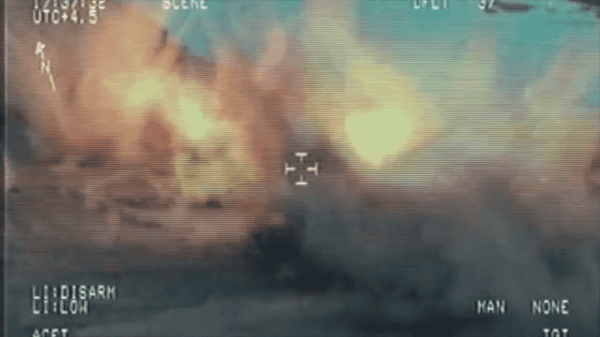 If you can’t stomach seeing insurgents being sent to meet their maker, this video isn’t for you. Otherwise, this is a trip. An Aerostat blimp tethered in Kabul observes a Taliban machine gun team following an attack on a NATO-led International Security Assistance Force position. 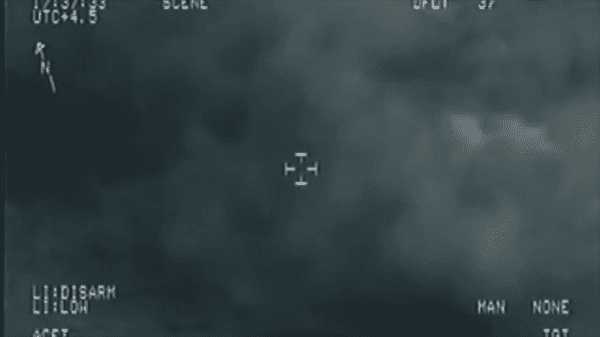 As the insurgents regroup for exfiltration, an A-10 “Warthog” Thunderbolt II gets cleared hot for a strafing run. A three-man Taliban machine gun team takes the brunt of a 30mm GAU-8/A Avenger autocannon burst. 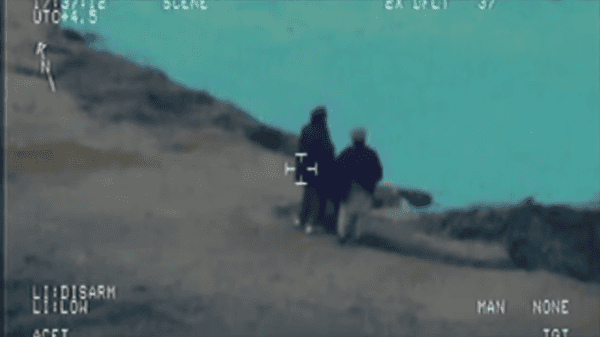 At the beginning of the video, only two members of the Taliban machine gun team can be seen, but when the third member comes into frame and approaches the other two men, the A-10 completely wipes them out. The A-10 Thunderbolt II is among one of the most beloved aircraft in the United States military. It was developed by Fairchild-Republic for the United States Air Force and designed for close air support of ground troops. It has been in the service for more than 40 years as it entered the United States Air Force in 1976. The A-10 has served in during Operation Desert Storm, the United States’ intervention against Iraq’s invasion of Kuwait, and multiple conflicts in the Middle East, most recently in the fight against ISIS in Iraq and Syria. The A-10’s service has been extended by several years due to a number of upgrades and wing replacements. The Air Force plans to keep in the A-10 in service for at least five more years despite efforts to phase it out. Air Force leaders said several A-10 squadrons will have to be retired unless they can receive new wing replacements. Madeleine Albright: "I Stand Ready To Register As Muslim"